Even so-called „subsistence farmers“ cannot survive only by consuming their own production. They need to sell a part of their products to obtain additional basic food like salt, cooking oil or sugar and to be able to buy clothes, medicine, school books and many other necessary things. By promoting income generating activities, Integrated Rural Projects support the rural poor to get fairer prices for their projects and to get additional income to satisfy basic needs. As distances to markets are often big in rural areas and access is difficult, rural producers organize themselves in Self Help Groups (SHG). These are small, informal groups of people facing similar problems. The objectives and strategies of SHG differ extremely, depending on the felt needs and problems. For the Don Bosco projects in Mozambique and Nepal helping rural people to organize themselves in SHG is a first step to gain ownership and sustainability. Click on the picture above to see examples of income generating activities on the video of Salesians Don Bosco in Sirsia, Nepal. When SHG are well established it makes sense to think about more stable and formalized forms of peasant organization. Cooperatives are the option that the Don Bosco project in Nepal has chosen. A formalized organization is often a precondition to get credits from public or private banks. 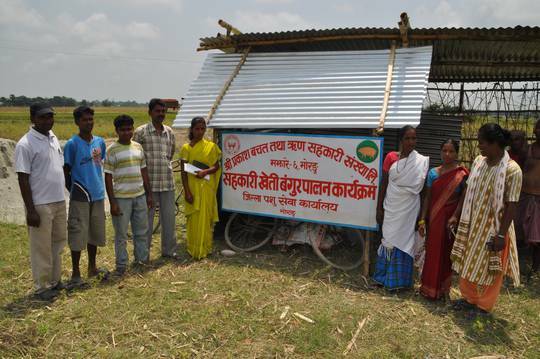 Development projects often give Micro Credit to individuals and Self Help Groups. A well organized Micro Credit scheme can support poor farmers investing in seeds, animals or additional land, sometimes the first step to obtain food security. Often rural producers face unfair conditions when selling their products. Merchants offer extremely low prices for agricultural products; middlemen and transporters demand a lot of money for their service; bringing the products to local markets is time consuming, risky and expensive. 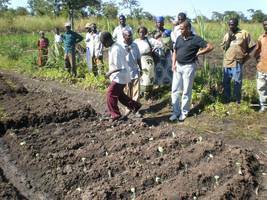 Rural Development projects in Mozambique and India show how to support the rural poor in Marketing.